I’m showing remarkable restraint at the market these days, y’all. Remarkable. Restraint. This entry was posted on September 1, 2011 by Megan @ When Harry Met Salad. 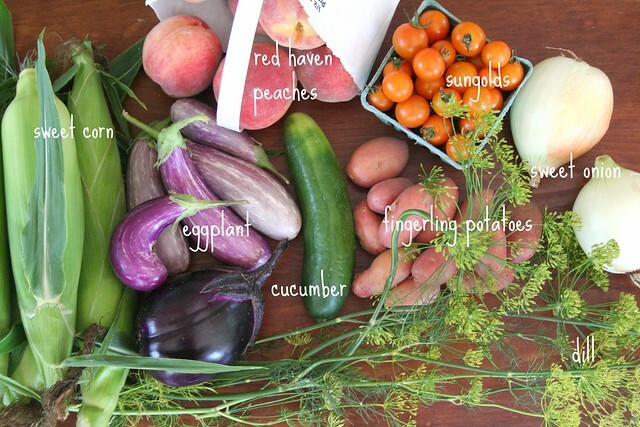 It was filed under farmers market and was tagged with cherry tomatoes, corn, cucumber, dill, eggplant, farmers market, onions, peaches, potatoes, summer. I was just at the market myself today, love these photos!! verry nicrce foto’s !!! i think a am honger now have a nice day !